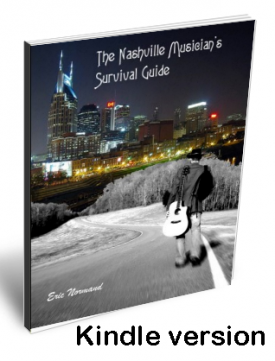 This ebook is a career guide, resource hub, and a music industry portal for both beginners and professionals who desire careers in the Nashville music industry and beyond. This fly on the wall perspective is geared towards helping musicians, singers, songwriters, engineers, and others find their way in the world's second largest music production city. The music biz of Nashville is like a jigsaw puzzle, and this book will show you how the puzzle pieces fit together and where you might fit in. As well as interviews with touring musicians, bus drivers, and more! Buy both and save $4.99! The download will be available immediately - the book will be shipped by USPS.